New Brunswick's Legislative Assembly has been closed to the public following the shooting on Parliament Hill in Ottawa. "Until further notice, following the armed assault at Ottawa’s Parliament Buildings, the Legislative Assembly buildings are closed to the public," said Daniel Bussières, the legislature's sergeant-at-arms in a brief statement. Bussières told reporters on Wednesday the decision to close the legislature to the public is meant to reassure employees. Bussières said the news about the Ottawa shootings has been very upsetting. "It just breaks my heart because we're such an open society where people are free to come and go and take part in the democratic system and something like that occurring in Ottawa is basically an attack on our democratic system," he said. 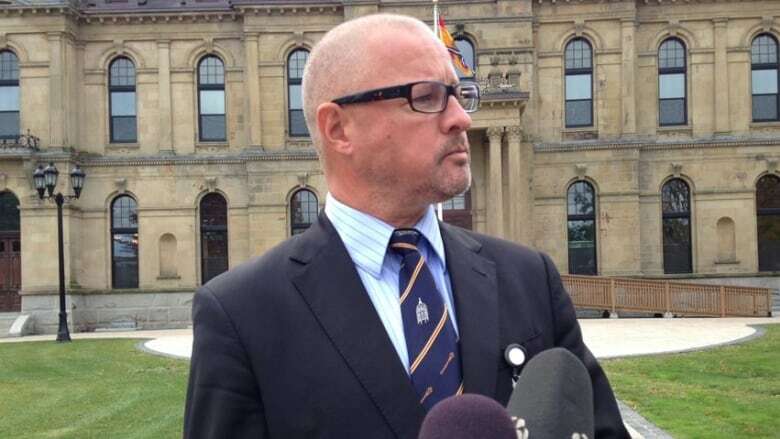 Bussières said he will conduct a reassessment of security measures in place for the new Speaker of the Legislature, who is to be elected by MLAs on Friday. Premier Brian Gallant issued a statement saying he is "shocked and saddened to learn that a member of the Canadian Forces has again been deliberately targeted and attacked, this time in Ottawa." "While national security is an issue managed by the Government of Canada, public security of citizens is a responsibility shared by the provinces," Gallant said. "New Brunswick is a safe place to live, but it is important to remain vigilant against threats to our security." New Brunswick isn't the only legislature to immediately impose new security restrictions following the shooting. The Ontario legislature is also under a heightened state of security. Also, Province House in Halifax has increased security. Police have swept the Legislature and all staff have been asked to make sure they are wearing identification. The British Columbia legislature has also been closed to the public. Parliament Hill came under attack today after a man with a rifle shot a soldier standing guard at the National War Memorial in Ottawa, before seizing a car and driving to the doors of Parliament Hill's Centre Block nearby. MPs and other witnesses reported several shots fired inside Parliament, and a gunman has been confirmed dead inside the building, shot by the House of Commons Sergeant-at-Arms, according to eyewitness accounts of MPs. CBC News has confirmed that several New Brunswick MPs, including Saint John MP Rodney Weston, Moncton-Riverview-Dieppe MP Robert Goguen and Beausejour MP Dominic LeBlanc, are being locked down on Parliament Hill. New Brunswick Southwest MP John Williamson said on Twitter that he was in his weekly caucus meeting when the shooting started and the room had been locked down. He also said Conservative MPs had a moment of silence when they were informed that the soldier, who was shot, had died. Some military bases across the country have put in place heightened security measures today. But it appeared to be business as usual at 5th Canadian Division Support Base (5 CDSB) Gagetown​ outside Oromocto, the second largest military base in Canada and the largest military facility in Eastern Canada, reported CBC's Redmond Shannon. Base officials declined to comment, directing all inquiries to the Canadian Forces headquarters in Ottawa, said Shannon. But hundreds of cars were in and out of the Gagetown base all afternoon and a commissionaire at the gate said no unusual security protocols were in effect, he said. In addition, Gagetown service members were not asked to avoid wearing their uniforms off-base, as had been requested of members of the Canadian Forces elsewhere across the country, Shannon said. Patrick Parker, president of the Oromocto branch of the Royal Canadian Legion, said he was "horrified" by the events in Ottawa. "I'm sure all the veterans feel the same way," said Parker. "We're in the midst of a crisis now," he said. "We know that the government is working really hard to protect us from the terrorists, but this is it now, we’re into it now."